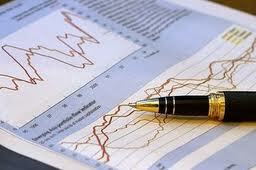 Tax planning in enterprise integrated development strategy of the company. • Tax screening of current and previous fiscal years in order to provide an integrated parley with the relative control parties. • Preparation and submission of the property tax. • Strategy to deal with objective criteria and generally all tax collection raids. • Tax advice to the entrepreneur. • Preparation and submission of all VAT returns and related statements (INSTRASTAT, LISTING). • Preparation and submission of all withholding tax statements. • Drafting and signing financial statements and consolidated balance sheets in accordance with Greek or International Accounting Standards. • Submission to the Tax Office of all tax returns. • Endorsement of Books and Records. • Submission to prefectures, chambers, etc., all the necessary corporate documents. • Submission to the Labour Inspectorate, OAED, Pension Funds, all documentation required.